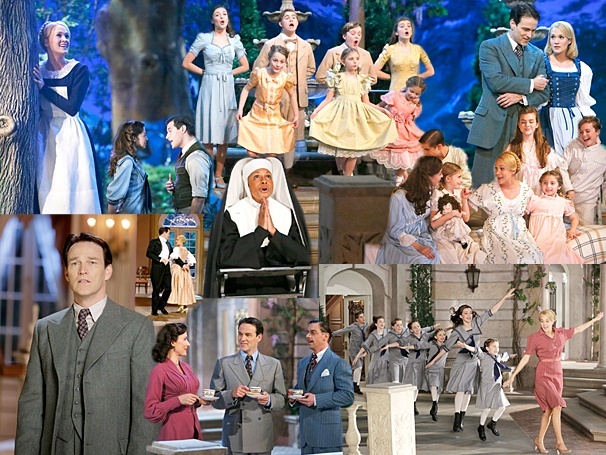 When I watched the Sound of Music the Live version from NBC, we have to understand this is a stage production of the Sound of Music not the film version, but I still like the film version because it has more visuals than the stage however, the stage version is not bad at all, overall I like it. Carrie Underwood. Many people are complaining that she’s a singer not an actress, but she pulled it off and did a fantastic job. Some singers are good actors, if people can give Carrie Underwood a break. Maybe she would go into acting or doing Broadway. Give her a chance. Why people have to be mean to her? She said in quotes: “Plain and simple : Mean people need Jesus. They will be in my prayers tonight 1 Peter 2:1-25. Other stars defended her liked Cameron Diaz pointing out that setting herself up to be compared with Julie Andrews was a gutsy move and urging people to give her credit. The children also are making there television debut as actors and they were fantastic performers. Even though they work harder than Carrie, these children were still in school or they were tutor on the set which is convenient to do so. First, they would go to school for 3 hours on the set and the rest, rehearsals and going to dance class. It really paid off they even acted professionals. One of these days, these children will become stars themselves either on the TV screen or on the big screen. The production. Directors Rob Ashford and Beth McCarthy-Miller (who directed 30 Rock’s live episodes) — made everything still feel a little stage bound, the storytelling was clear. They should have the puppets and marionettes singing the Lonely Goatherd in the play, that would be the show topper for the live production, but they did not have it in. They did have some bloopers in the live production. Did you catch them? When Laura Benanti played Elsa Schrader was walking through the door and the guy right behind her step on her gown. She gesture the guy and continue with her lines and walk away and nothing was ripped. A camera was in the view. Did Carrie Underwood look at the cameraperson for her lines on the teleprompter? Did Stephen Moyer and the Admiral cut each other line? Especially the admiral when he forgotten his line and Stephen helped him out. The acting. Stephen Moyer from the hit show “True Blood” sang, he has a great singing voice. I was amazed he could sing. Carrie Underwood did terrific as usual. As for the children, their acting was fantastic. Christian Borle was appropriately hammy as Max Detweile. He was last seen in NBC ‘s SMASH, in which it got cancel by NBC. He’s a terrific singer.